As soon as you arrive at this well-appointed 3 Bedroom holiday house situated just a couple of minutes’ walk to the beach and boat ramp and a leisurely stroll to the shops. Enjoy the spacious open plan living area with TV, DVD, R/C Air-conditioning and ducted heating. The three generous size bedrooms consisting 2 Queen Beds and 2 Single Beds, 2 Bathrooms, modern kitchen with dishwasher. Other features include, Gas BBQ outdoor setting, long driveway, a single lock up garage to store the boat, jet-ski and plenty of off street parking down the long driveway. 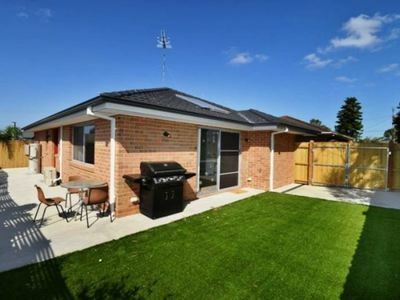 All this with just a short stroll from the Portarlington shops, restaurants, swimming and fishing. The property is also a Pet Friendly Property. and all long weekends, (min 3 nights stay on long weekends). Credit card details taken for Bond.